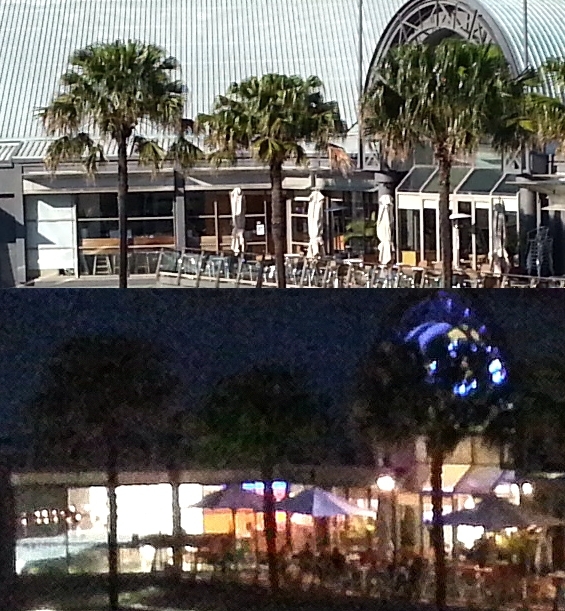 With the recent news that Mirvac had submitted a development proposal to knock down the Harbourside Darling Harbour Shopping Centre and replace it with a 35 storey office block and smaller retail area, I thought it was time to visit some places there again before they disappeared completely. 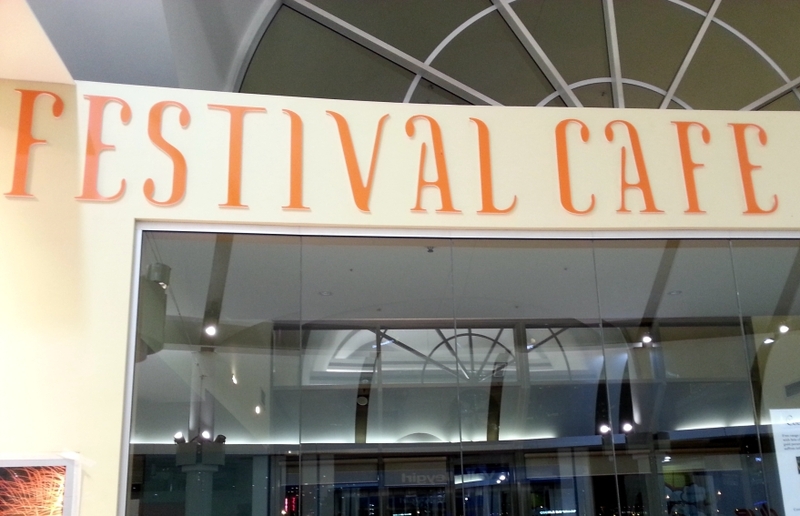 One of my favourite haunts (almost weekly for 3 years) was Festival Café. When I lived closer I used to go there almost every day as a private tutor, teaching adults English as a Second Language. The coffee was great, the people friendly and many of my students were happier practicing their pronunciation with music playing so that other patrons couldn't hear them. 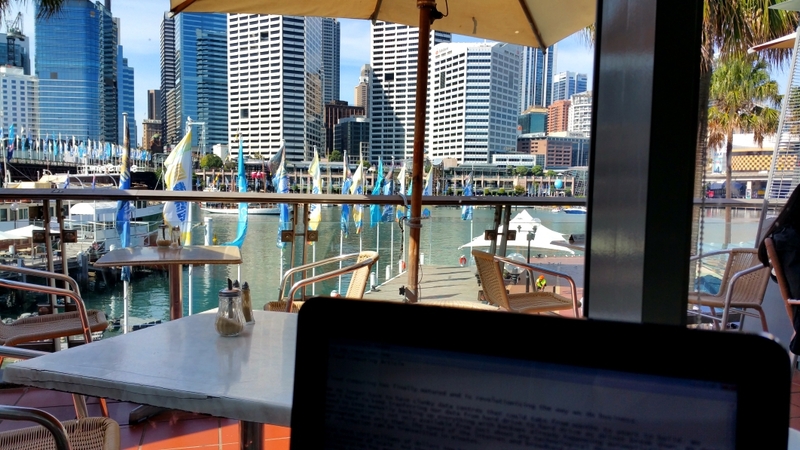 On the days when I wasn't teaching it was the most convenient café restaurant around to stop and have a glass of wine and type up some materials, especially with the gorgeous view of the harbour. Being a city lover I love nothing better than to look out over amazing engineering feats of towering architecture complemented by the serenity of boats with water softly lapping against their hulls. Spotting a new development or an addition to the cityscape and appreciating what humans are capable of, always brings a smile to my lips, along with a nice glass of shiraz or chardonnay. On some evenings I've also eaten here and have been amazed by how full the place can become, sometimes to the point of queues for tables. 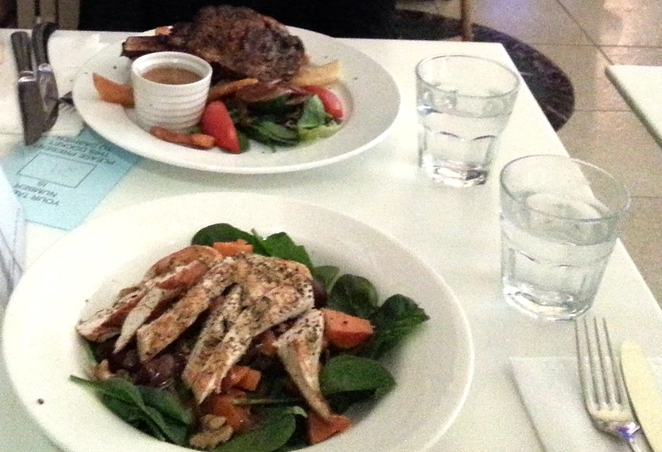 On our last visit we enjoyed the prime chicken breast and the New York steak. Both were prepared well and tasted great - the ideal food to eat at an international cuisine restaurant. The menu features dishes from Beijing, Malaysia, India, Italy, Japan, Thailand and more, so there's something for everyone here. On a quiet afternoon, the cute little sparrows flying in to pick up scraps, or the more raucous seagulls standing guard waiting for someone to leave their outside dish unattended, are also a nice distraction before getting back into the madness of the rat race. While the prices are tourist prices and it is located in a building now recognised as a tired tourist trap, the Festival Café view is worth checking out. Grab a coffee or glass of wine on a bright day (outside peak times) and chill out on one of the outside tables. It's definitely worth visiting, before it disappears forever.